Condo in Mandaue City, Cebu. EASY MOVE IN A READY FOR OCCUPANCY Studio Garden unit in BAMBOO BAY Mandaue.City, Cebu. Furnished Beach House with Swimming Pool in Amara Cebu. 3Bedroom Single Detached In Mohon Talisay-San Ricardo. PRE- SELLING 2 STOREY SINGLE DETACHED HOUSE with 3 BEDROOM in Pueblo San Ricardo Talisay Cebu. 2 Bedrooms in One Pavilion Place Condominium Cebu City. 4 Bedroom Overlooking House with swimming pool in Talisay City Cebu. PRE-SELLING 2 STOREY SINGLE ATTACHED HOUSE with 4 BEDROOM in Bamboo Bay Residences Liloan Cebu. 9 Bedroom Beach House with Pool in Liloan Cebu. Almond Drive 2 Storey Townhouse in Talisay City Cebu For Sale. Furnished 2 Bedroom Unit with Parking at Avalon, Cebu Business Park, Cebu City. Brandnew House For Sale in near Rustan Banawa,Cebu City. Golden Single Attached Preselling House For Sale at Bamboo Bay Residences,Liloan Cebu. Pre selling townhouse in banawa cebu city. OVERLOOKING RESIDENTIAL LOT FOR SALE IN GUADALUPE CEBU CITY. Re-Opened Amani Model House for sale near Ateneo de Cebu Canduman Mandaue. Pre- Selling Fully Furnished Studio Unit in Cebu City, Cebu. Elegant fully furnished ready for occupancy Condominium. Anami Homes Consolacion Cebu, Aster 2 Model. Affordable studio condo unit for sale in Cebu City. Affordable Duplex 3Bedroom In Minglanilla-Kahale Residences. Fountain- 2 Storey Single Attached Brand nee House at Bamboo Bay Residences,Liloan Cebu. 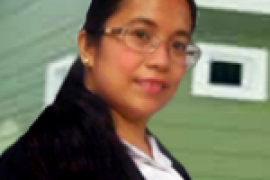 Hello, Please contact me, I am interested in properties for Sale in Cebu. Best Regards. When talking about the Visayas region, people almost immediately think of the city of Cebu. This could be because it shares its name with the province in which it is located and serves as the capital of. Not to mention that it is known as one of the most significant economic centers in the Philippines. In terms of commercial establishments and infrastructures, it can rival any major city in Metro Manila. It is even considered as the Visayan counterpart of the Metro. The Queen City of the South is a prominent location in that it serves as the main domestic shipping port in the country with about 80 percent of local shipping companies based here. Its solid and steady growth is due to its business process outsourcing (BPO), information technology, and real estate industries. Being the first Spanish settlement during the colonial period, Cebu is the oldest capital in the Philippines. It possesses an extensive past and is deeply rooted in the Roman Catholic and Spanish influences behind it. Still, it is the most highly urbanized city in the region. Aside from the industries mentioned above, the tourism, service, and manufacturing sectors also contribute largely to turning Cebu into the city it is now. 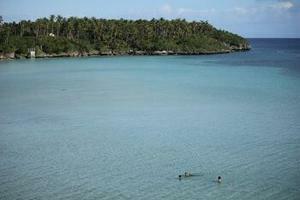 In 2011, it was crowned as the Philippines’ second most visited tourist spot. It also serves as a major hub for the call center industry, making it part of the Top 100 BPO Destinations Report for 2013 and even ranked eighth among other cities across the globe. There are over 95,000 people working in this sector. When you want to live a cosmopolitan lifestyle comparable to major areas in Manila, you should come to Cebu. It has something that places like Mandaluyong and Makati cannot offer – close proximity to beaches. It is not unusual or complicated to incorporate the sun, sand, and sea into everyday modern living in this island metropolis. It is for this reason that many people rent condominiums here, but why lease when you can buy? That would be a better and more affordable investment on your part. Whether you’re looking to invest in a vacation home or buy a permanent residence, it is a sound choice to get a condo unit for sale here. There is no lack of options, with almost 7,000 units constructed last 2012. Those living alone can already purchase a one-bedroom unit in Singson Flats for PHP 1.7 million. Families, on the other hand, can have a two-bedroom property for PHP 3.3 million in Oasis Mabolo. Major property developers have also begun to take advantage of the booming real estate market in the city as they unveiled their own condominium projects. Ayala Land launched Park Point Residences and 1016 Residences for those who are financially willing. Find your next home among 16,393 listings for sale in Cebu quickly and easily online. Condominiums, houses, townhouses, villas, commercial space, plots of land, affordable homes and luxury properties are available for sale in Cebu. The average listing price in Cebu is ₱ 9,835,621 for houses and ₱ 7,257,676 for condos. 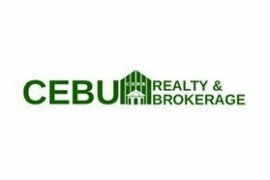 If you are after a place to rent in Cebu then try checking out our Cebu rental listings. Easily find your next home for sale in Cebu by filtering types, price and number of bedrooms.